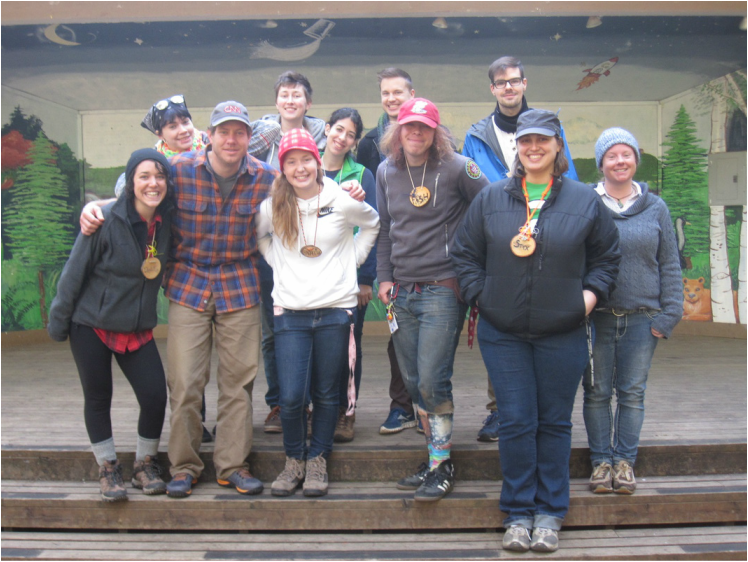 Join the NW Outdoor Science School team as a staff member! Do you enjoy being in the great outdoors? Can you relate well with children and teenagers? Are you interested in ecology and natural science? Do you like to teach? If you answered yes to these questions, please consider applying to be on our staff. Working for the Northwest Outdoor Science School can be a life changing experience. As a staff member, you will positively influence the lives of hundreds of students. You will teach sixth-graders about the ecology of the Pacific Northwest. You will help to develop the leadership and teaching skills of high school and college students. You will work with other enthusiastic, talented adults. All the while, you'll be in the beautiful outdoors of NW Oregon. Being a staff member is demanding, but it is definitely the hardest job you'll ever love! We are now hiring for our Spring 2019 session . You may apply by clicking on the link below. A list of job postings will appear -- look for those that say "Outdoor School" or "Northwest Outdoor Science School" in the Job Title, and "NW Outdoor Science School" in the Location field. Potential employees should also check out our Program Tour section to learn about the kinds of activities we do, how our program is organized, mentoring high school and college students who volunteer as counselors, and other staff duties and responsibilities.